Living with a chronic illness or disability can be difficult. Many of the challenges are socially imposed—discrimination at work and school, stereotypes about sick or disabled people, dismissive attitudes toward disability rights, and access barriers. Though society is designed for typically abled people, people with disabilities and chronic illnesses are actually in the majority. A 2017 RAND study found that 60% of Americans have a chronic illness. Forty-two percent have two or more chronic conditions. In 2010, 19% of Americans had a disability. Therapy can help people deal with the social challenges of life with a disability or chronic illness. A compassionate therapist supports clients to identify their feelings and needs, talk to others about their experiences, advocate for themselves, and bridge disability-related relationship gaps. Therapy can also help families support members with a chronic disease or disability. Look for a therapist near you who is experienced in working with people with your condition. People with chronic health conditions should also see a doctor for help diagnosing their condition and identifying potentially helpful treatments. Some people with chronic illnesses see several doctors before getting an accurate diagnosis. Is Mental Illness a Chronic Illness? Some chronic illnesses and disabilities directly affect mental health. Mental health conditions such as depression, bipolar, and generalized anxiety are chronic illnesses that can also be disabilities. Stress and anxiety about access barriers. A person with a mobility impairment might worry about their ability to access a building or feel anxious about their ability to shop for groceries. Exposure to discrimination. Discrimination against people with disabilities is pervasive. A 2007 survey found that about 40% of disabled workers face workplace discrimination. Other forms of discrimination may be even more common. Some people even believe that discrimination against the disabled is justified. Others view disability accommodations as special rights or as an optional, “nice” thing to do. Discrimination affects mental and physical health. Relationship challenges. People with disabilities may need help discussing their experiences with loved ones, getting support from their families, and dealing with the ways discrimination can affect relationships. Medical stress. 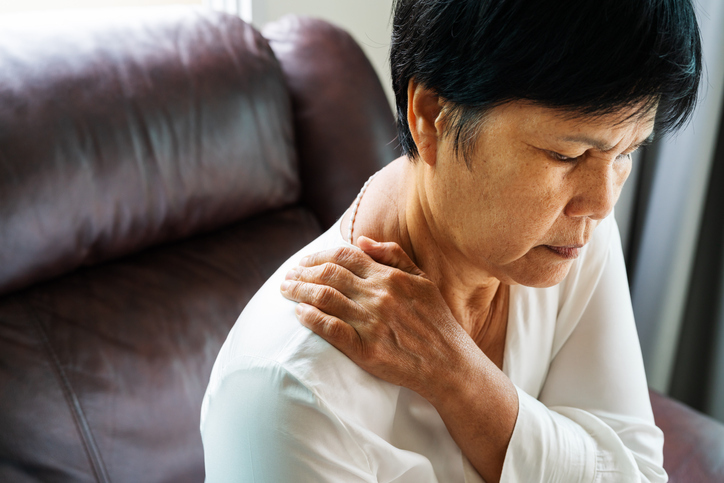 It’s common for people with chronic illnesses, especially poorly understood conditions like fibromyalgia and chronic fatigue, to wait several years for an accurate diagnosis. A 2010 study found that people with fibromyalgia waited an average of 2.3 years and saw 3.7 physicians before being diagnosed. Some people report that their doctors don’t believe them or minimize their symptoms. This can be stressful and demoralizing, eroding self-esteem. Fear about the future. People may worry about what will happen to them if their support structure changes or if they no longer receive accommodations. Minor changes in insurance law—such as allowing insurers not to cover preexisting conditions—can have catastrophic health consequences. People with terminal or progressive illnesses may fear death and decline. Self-esteem issues. Though disability and chronic illness are common, the world is designed for people who fit a narrow definition of able-bodied. This can cause people with chronic illnesses or disabilities to question their own worth. No single definition of disability or chronic illness applies to every diagnosis or condition. Not all mental illnesses are chronic illnesses, but many are. What matters most is not the specific diagnosis but the effect it has on a person’s life. For example, one person with depression might experience an acute episode, seek therapy, briefly take medication, and then never experience depression again. Another person might struggle with depression for years, temporarily getting better and then relapsing, even with quality treatment. Children and adults routinely receive disability accommodations for a wide range of mental health conditions and developmental diagnoses. For example, children with a specific learning disability, intellectual disability, or chronic mental health condition may receive accommodations in school. Students with disabilities are covered by the Individuals with Disabilities in Education Act (IDEA), which forbids discrimination and entitles each student to an Individualized Education Plan (IEP). The Americans With Disabilities Act (ADA) is a federal law passed in 1990. It prohibits public discrimination against people with disabilities. This “public” discrimination distinction is critical. It prevents restaurants, schools, public buildings, and similar entities from discriminating against the disabled. Those who do discriminate can be sued. It does not make interpersonal discrimination a crime. So, using a slur on Facebook or bullying a friend for their disability both remain legal. The ADA also requires many employers, schools, and government entities to grant reasonable accommodations to people with disabilities. These accommodations are designed as a form of equitable relief to give disabled people equal access to public accommodations. Just as a restroom ensures that an able-bodied person can be physically comfortable in public, a ramp ensures that a person with a mobility impairment is able to access public buildings. Under the ADA, plaintiffs who sue and win can recover attorney’s fees. This allows disability lawyers to take ADA cases on a contingency basis. When lawyers take contingency cases, they take a portion of the lawsuit winnings. A client does not have to pay the lawyer upfront. Several cases litigated under the ADA have expanded and clarified the rights to which people with disabilities are entitled. The 1999 decision in Olmstead v. L.C. and E.W., known popularly as the Olmstead decision, found that people with mental health disabilities have the right to live in the least restrictive possible setting. This generally means a right to live in their communities rather than in institutions. Disability lawyers generally rely on the ADA’s disability definition. Rather than listing specific illnesses that qualify, the law indicates that a person has a disability if they have a chronic medical condition that interferes with one or more major areas of functioning. People are also considered disabled if others regard them as such, or if they have a history of disability. Under this definition, what matters most is not the diagnosis a person has, but how it affects their life and the way others perceive them. An autistic person might not struggle with any major areas of functioning. If others perceive them as impaired, however, they are disabled under the law and protected from disability discrimination. One person with chronic pain may generally function fine, while another might have extreme mobility impairments or similar difficulties. The ADA definition of disability is not the only definition. In other contexts, doctors and researchers may rely on pain or disability scales. For example, the Oswestry Disability Index is a scale for measuring low back pain. While the ADA does not specifically require the use of this or similar scales, doctors may use these metrics when deciding whether to sign documents indicating a person is disabled. Disability benefits are accommodations and entitlements designed to offer people with disabilities a more equitable world. The disability rights community emphasizes that these benefits are not special rights. Instead, they help address a mismatch between the needs of a disabled person and the structure and design of the wider society. The Social Security Administration pays Social Security disability benefits to people who cannot work because of a disability. Known as Social Security Disability Insurance (SSDI), these benefits may also extend to children or spouses. Be unable to work. If they do work, they must earn less than $1,180 a month. Have had a significantly limiting condition for 12 months. Have a condition found on the Social Security Administration's list of qualifying disabilities. Have worked long enough to qualify for SSDI. The Social Security Administration uses a complicated “work credit” scheme that changes annually. In 2018, people earned one credit for every $1,320 earned in documented wages or self-employment income. People typically need 40 credits, 20 of which were earned in the last 10 years, before they can receive SSDI. Which mental illnesses qualify for disability? The Social Security Administration lists a wide range of specific diagnoses and categories of illness on its list of qualifying conditions. It’s not enough to have a condition on the list, though. A person must also be able to show that their symptoms undermine daily functioning so severely that they are unable to work. To receive disability, a person must apply through the Social Security Administration. The application process can be lengthy and requires medical proof of a disability. Because of the amount of paperwork involved, many people opt to hire a disability lawyer. People denied disability insurance may also appeal their denial through a lawyer. How much does disability pay per month? Disability payments are based on a person’s lifetime Social Security payments. Most SSDI recipients are paid between $700 and $1,700 a month. In 2018, the average monthly payment was $1,197. The maximum benefit in 2018 was $2,788. Social Security disability is just one of many disability benefit programs. The military makes disability payments to disabled veterans. Some employers also make disability payments. A person may also purchase private disability insurance. Each of these programs has its own list of criteria and application process. Physical and mental health are linked. Chronic stress can intensify symptoms of various physical ailments. Stress can also make it more difficult to cope, or to adopt healthy lifestyle strategies that improve physical health symptoms. Additionally, some chronic illnesses and disabilities, such as depression and anxiety, primarily affect mental health. Helping clients understand the mind-body connection. Supporting clients to talk about their experiences with loved ones. Navigating relationship issues related to disability. Promoting an attitude of acceptance and introducing concepts such as neurodiversity. Helping clients identify and advocate for their needs. Helping caregivers talk through the complex emotions and challenges caregiving can trigger. Therapy to help relieve caregiver stress: Micah, 62, is a caregiver for his wife, who was diagnosed with frontotemporal dementia two years ago. Micah is overwhelmed by the burdens of caregiving. He also feels profoundly lonely. He occasionally resents his wife, then feels guilty for not being able to meet all her needs. In therapy, he finds an empathetic outlet for these emotions. His therapist helps him understand that no one can be a caregiver without a break or support. Micah hires an in-home caregiver a few times a week so he can spend time with his daughter. The caregiver has become a friend to both Micah and his wife. Though Micah’s wife continues to deteriorate, she is happy and well cared-for. Micah is able to find meaning and purpose outside of caregiving, and no longer feels guilty for being unable to be all things to his wife. Therapy to cope with the far-reaching effects of chronic pain: Kanika, 34, has lived with chronic pain for years. Many doctors dismissed her, saying she exaggerated her symptoms or had a mental health diagnosis. This year, she was diagnosed with Ehler-Danlos syndrome and fibromyalgia. Though she feels relieved to get a diagnosis, she is also angry at her body for “failing” her and at her doctors for ignoring her. She feels excluded from society, and copes with her frustration by overeating and smoking. These lifestyle choices make her symptoms worse. In therapy, Kanika discloses that she was shamed for being angry as a child, so feels uncomfortable voicing those feelings as an adult. Her therapist reassures her that her feelings are normal, and works with her to develop healthier coping skills. Kanika now exercises three times a week and has quit smoking. Her physical symptoms have improved slightly, and her social life is flourishing. She is involved in her local disability rights community and has found purpose in advocating for her needs and helping others.